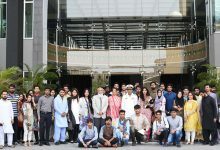 The Lahore School of Aviation (LSA) on April 20, 2018 held a cultural event at the University Courtyard to bid farewell to the final year students and welcomed its new students to the prestigious University of Lahore. Junior students performed various skits and dramas in which they shared memorable interactions which they had with their seniors. Teachers also gave funny and enchanting titles to the final year students. Amazingly, the given titles were a complete description of their behaviors which teachers had noted and observed during their stay at the School. 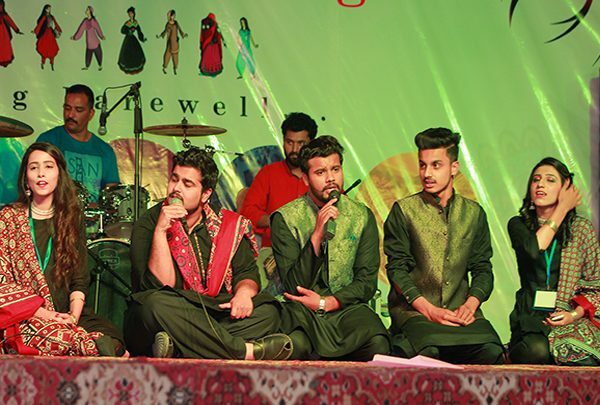 Students with diverse cultural and provincial backgrounds wore their regional dresses and gave different dance performances according to their cultures. At the same event, students’ society named Avimtrix got its new student body whose members were nominated by Head of Department, Cdr. Retd. Nadeem Ansari. He doubled as the chief guest. Ms. Aiza Kanwal and Madam Mushal Baloch were the key event organizers. The day’s dinner contained a variety of different local and continental cuisines served. These blended very well with the general ambiance of the event.